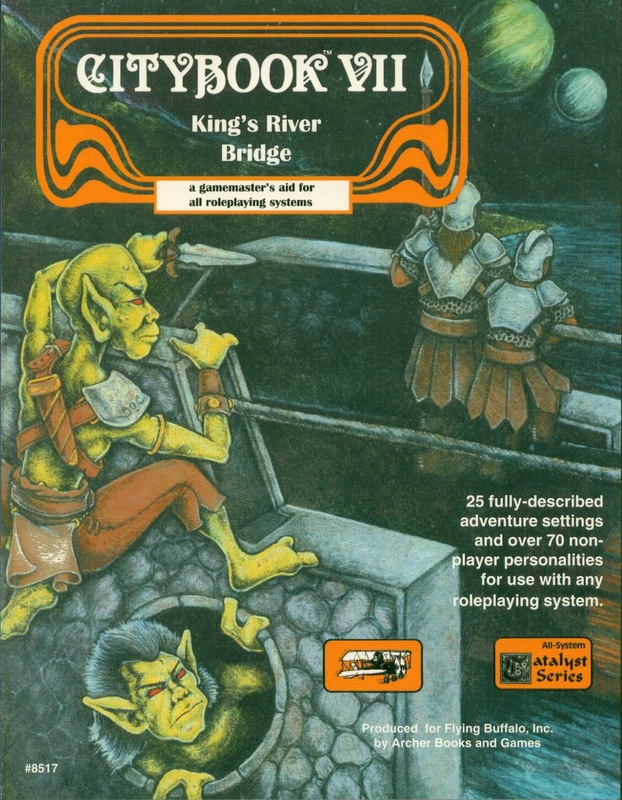 Sourcebook detailing people and establishments surrounding a bridge in a generic fantasy city. Intended for use with any FRPG. 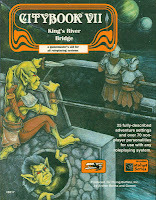 With Citybook VII: King's River Bridge, we come to the end of this series. When I decided to review the Citybooks, I had to finish out some gaps in my collection. After the fire I’d been able to replace a couple of them pretty quickly. But some I’d waited on, and Citybook VII was the last one I picked up. I hesitated on that- I remembered it not being that good. Of course that was in comparison to the rest of the series, so perhaps if I tried to consider it again and read it objectively? Some series and game lines manage to sustain their energy and creativity throughout. While they have some weak spots Changeling the Lost, Mage the Sorcerers Crusade, and Castle Falkenstein stay strong throughout. Then there’s the Gazetteer series I reviewed, which has some weaker pieces but was generally strong until we hit the last volume. That one felt like a throwaway. Citybook VII is, unfortunately, more like that. It has a couple of interesting bits but generally gives the impression that the editor and authors didn’t have a grasp on what made the other Citybooks work. Beyond a weird shift in tone and approach in some places, there’s an unevenness to the presentation. There’s a higher page count (an increase from 92 to 112) but many more businesses presented (up from an average of 15 to 25, plus a half dozen NPC encounters). Some of the entries are short, but even the longest ones have strange filler. Lastly there’s the theme of the book. Previous volumes focused on general concepts, allowing the GM to pick and choose businesses. Citybook VII establishes the concrete location of a bridge within a city. That’s treated less as a theme and more as a specific place. We end up with half of the entries tied tightly to that location and half having nothing to do with that. ON CITYBOOKS So what are the Citybooks? Each volume presents generic businesses, locations, and organizations for a fantasy city. The books aim to keep assumptions about the nature and form of fantasy pretty generic. Even when it deals with the cosmology of the magic, it maintains an open and adaptable approach. While the books are written without specific system mechanics, they offer guidelines for important details. Fighting, magic and so on are ranked to give the GM a clear sense of the relative power. Each entry is usually at least three pages, usually more. Most include clear maps and layouts with clear icons. An entry usually includes a basic description, layouts, NPC details and most usefully a set of scenario suggestions. NPC write ups focus on personalities and plot elements. Each book usually offers a set of links and threads to make it easy for the GM to connect different establishments together and create larger stories. These can easily be used or ignored. The book has four major sections, plus the oddball NPCs scattered throughout. As with the other volumes, this opens with a general editorial about how to use the book, the generic system rules, plus the map of the bridge and an explanation of the map symbols used throughout the book. The cartography takes a step back in this volume. This volume follows the tradition of some discussion of themes. But under themes it simply offers a scenario which could have appeared anywhere else in the book. I have a couple of significant problems with the entries in this volume. Many of them are short, barely giving any real treatment to the ideas. Some of the longer ones had odd and goofy side bits that don’t add to the material but instead just take up space. I really look at products like these for playable material. It doesn’t have to completely flesh out the concepts, but there has to be at least some kind of spark that gets me thinking about how I’d actually use that at the table. Much of the book is meh or bogged down in unimportant details. The best entries in the Citybooks strike the right balance between the obvious and the insane insanity. I’d pointed out the repeated device used in the first five Citybooks of the ancient mage in hiding who looks like an ordinary person. That’s a decent plot- if used once. But if players keep running onto these kinds of figures seems silly. Likewise, a time-traveling hippie dragon with a floating craps game in the back alleys of the city would be goofy. On the other hand, any entry ought to move beyond the basic premise, ought to have a twist or two. If you say there’s a Royal Tax Collector, I can pretty much imagine a basic set up for that. If I then go and read the entry and it is pretty much exactly what anyone thinking about it for two minutes would come up with…well, that’s a problem. And it is a problem that hits many of the entries in this volume. They’re boring and don’t do anything with the premise- regardless of whether the premise is mundane or fantastic. At an estimate, I’d put about half of this book in that category. I’ve mentioned in other reviews how hard comedy is in rpg materials. Not even comedy, but just being funny or at least amusing. Many of these entries shoot for that with puns and silliness. It doesn’t work. Instead it is irritating and a radical departure from the other entries in tone. Sure there were some jokes, but those were smart and restrained. Instead here we have dump names and goofiness. I have to point out The Poet’s Guild Training Centre as especially bad in this regard. So what do I actually like? Two entries by S. John Ross have some great elements: Blind Geoffrey’s Barberie and Cauterie and Teeble’s Found Goods Warehouse. Both manage to take a simple idea and twist it into something which will look clever, colorful and potentially dark at the table. They have oddball characters, interesting unique bits and options, and decent plot hooks. It helps that they also have the best illustrations in the book. Blind Geoffrey ties into the idea of the bridge and to some of the themes from the earlier books. 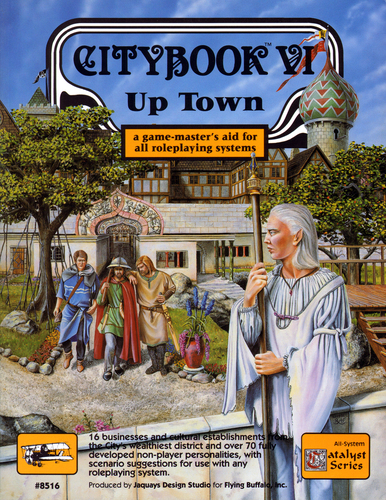 The last volume, Citybook VI: Up Town, had a hairdresser, but this takes that simple concept in a completely different direction. The other entry that has potential is Tunki’s Other’s Wear, a costume shop. That one stuck with me and I assumed it was in one of the other volumes of the series. I kept wondering where it had gone or if I’d imagined it. But it shows up here and runs in an obvious direction with the concept. But somehow it does it with flourish and nice details. The ideas hold together. I’ve used it in at least one campaign and I’ll probably use it again. It has some creepy potential or can be used more as a source of humor. This gets my vote as the weakest of the Citybooks. Really, you ought to buy any or all of the others before Citybook VII. I’d only recommend it to those who must have the complete set. I feel bad saying that given the strength of the other Citybooks. I would hate for someone to come to this volume and assume the rest are of this quality. Some time back I wrote a post explaining why Neko Case's Middle Cyclone is the ultimate Changeling the Lost album. To add to that, I'd say the following is the ultimate CtL song & video combo not from that album. Sourcebook for any fantasy rpg detailing the elements of an wealthy quarters of a city. I’ve always pictured PCs relation to the wealthy like that of a private detective’s. In that genre the PI rolls up into the houses and mansions of the rich and powerful. He’s hired help- perhaps a desperate last resort to avoid being tainted with anything unseemly. The gumshoe’s out of his element, even when the scions of the mighty try to make him feel at home. He does his job, kicks up dirt, pisses people off and in the end has to crawl back to his hole in the wall office. So the players skulk back to Nightside or Sideshow after their work is done. That’s how I have it in my head, but many recent fantasy rpgs have allowed players to pick and choose their place in society. In Old School games you were the dregs of society, the level one filth trying to make a buck and rise up the ladder until you could afford a hovel and a horse. And there would always be mightier people above you. Point-driven systems, games which allow you to take nobility as a class, and even some random background-roll games open up the possibilities for the players. Citybook VI: Up Town smartly delivers shops and businesses serving the wealthy of a city. It doesn’t delve into the nature of that wealth or the structures of nobility there. The concept’s open making it useful for most fantasy cities. That’s nice to see after a couple of series volumes with narrower approaches. Some of the businesses related only tangentially to the theme, but the book solidly holds together. Citybook VI keeps the same design and layout as the last couple of volumes in the series. It’s a 96-page perfect-bound softcover. We have a nice readable text design done in two columns. Jacquays Design Studio once again oversees the project. The artwork’s generally pretty good, with an OK full color cover. A few pieces of the art are really excellent. The problem is that unlike previous volumes you can’t tell who drew what. Before the artist was listed with the entry they illustrated. Here a list appears at the front, without citing which is their work. That’s a little annoying. The book also has some really large maps- taking up significant page real estate. The size of them in this volume feels a little like padding; that may be in part because I’ve never found the maps particularly useful. The book supplies two stand-alone NPCs and sixteen establishments written by fourteen authors. The book has the usual pattern of three major sections, each with a forward page. The book opens with a general editor’s note on how to use the book. The next four pages lay out the generic guidelines and map keys. Half a page covers some themes/ideas for the book. Up Town turns back from the tight links and connections present in the last three volumes. There are a few cross references (including some tight links to key elements from Citybook V: Sideshow) but the connections are less pronounced. The handful of cross-establishment scenarios feels thin. As well unlike other themed volumes in the series there’s no discussion of what the wealthy quarter in the city means or how one brings that to the table. Citybook VI has few weak elements. It offers two NPCs (ala Citybook IV) with full page descriptions. They’re ok; I’d have preferred some more general city material. The Lost Inn’s the sore thumb in the book however. It feels like it was leftover from another volume and has only light connections to the wealthy quarter. 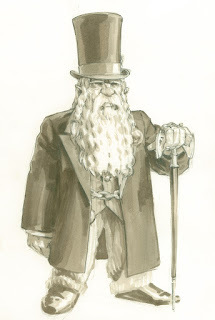 Combine that with the strange connection to the Old Man of the City from Citybook V. Plus the concept’s very close to one given in Citybook IV. On the other hand, a couple of the establishments presented here fit with the theme, but don’t go far beyond their initial premise. Madrigan's Fine Catering and Amaranthine's Rest could have had a little more spice to them. They aren’t bad, just not as great as the other entries. That makes picking the three best more difficult. I should note that this is the first Citybook that doesn’t have a disguised, hidden or amnesiac high wizard of legend stumbling around. Nice to see them skip that trope after hitting the well five times. The Reliquarium and Greenhargon's Museum I consider as one entry; when I used them I mashed them together. I love the idea of a museum which itself is a living being, with the owner uncertain about the nature and secrets of it. And the concept of mundane objects of veneration is also particularly cool. I dig the thought of players having to rummage through a junkyard of the strange in order to find something they need. I had great success with this in my games and love describing the businesses. I almost can’t decide on a third. The Gloriana Theatre offers so many plot ideas- especially if you have a Shakespearean bent. Harrow Downs is also cool and could be the source of many adventures. But I have to go with Cydryn's Aerial Palladium because it is so oddball. The owner’s floating building, exotic bodyguards and odd appearance make this one stand out. I love that Cydryn worries about adventurers, having been one himself. If they’ve come to stay with him and say they’re heading out, he’ll do his level best to convince, persuade or seduce them into staying. In my Exalted campaign, I used this as the basis for a seller of rare birds- in keeping with the flying shop. This gets my vote as the strongest of the Citybooks. It may not be useful for every campaign but if you have wealthy players or a group who serves the elite you’ll find material here. Nearly all the entries keep with the theme, and all offer several unique and interesting story and plot hooks. 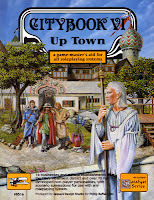 Citybook VI: Up Town’s worth picking up if you plan to run any kind of long-term fantasy campaign set in a city. I’ve heard the hue and cry- the sound of wailing as if thousands of tiny lead souls cried out at once and then were discontinued. I’ve seen the passing of the Squats, the Ratlings, the Fimir, the Zoats. I’ve seen others redone and folded into various lines- the Genestealers and Tyranids evolving horribly. Of these Games Workshop races, I miss Chaos Dwarves the most. I never played them except in Man O’ War. While I liked them, Warhammer Fantasy Battle didn’t grab me. I like fantasy skirmish rules; the unit system looked goofy to me. But the Chaos Dwarves could have pulled me in- except that the local CD player in our circle was really obnoxious. The thought of allying or having to ask him for advice grated. So I only looked at the packages and admired the designs. Of course, I’m talking about the later Chaos Dwarves, as they appeared WHFB 4th. 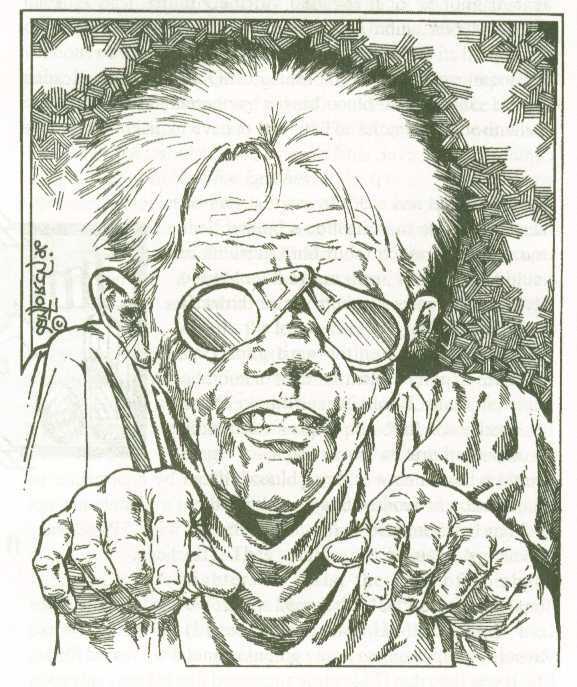 Originally they appeared as gruesome distortions, like any other chaos-infected race. But 4th edition gave us a new take on Chaos Dwarves presented with Babylonian and Assyrian design elements. They had awesome braided dark beards, scale armor, and most impressively cool cylindrical helmets and hats. I loved their look- different from the over-the-top craziness of most chaos forces. Instead they had tight and strict design elements, as if they’d turned their corruption towards a drive and passion for control. Chaos Dwarves also had cool war-machines and an awesome flying Taurus model. Their Man O’War fleets were equally spectacular and dangerous to play. Instead of that risk feeling like stupidity, it felt like these Dwarves pushed themselves past their limits. 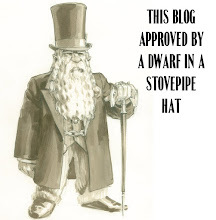 The line as a whole offered a nice parallel to the steampunk elements of the conventional dwarves. Today Forge World has a new line of Chaos Dwarves, cashing in on the nostalgia. But those models do away with much the classic look. They eliminated the helms, dialed back the Assyrian vibe, and generally went for a more realistic look. It disappoints me. Of course I’m always thinking about how to introduce (i.e. steal) elements for my RPG campaigns. For years I had Dwarves in my campaign world, but I never really explored them. Players skipped their homeland. At the time, I’d already adapted some of the Warhammer Fantasy RPG stories into the setting, hacking Middenheim, the Empire, Bogenhafen, Kislev and other places. 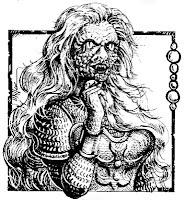 I’d run pretty much the entire Enemy Within campaign as an arc in one campaign, plus other stand-alone modules like Lichemaster. When I sat down to map the people and structures of the Dwarves I had two major sources. I wanted to draw elements from WHFRP’s Dwarf Wars, a module in the Doomstones campaign and from the Mystaran Gazetteer Dwarves of Rockhome. Mostly I borrowed names and places, plus a few other concepts. However I still couldn’t figure a place for the Chaos Dwarves. The idea of a civil war based on disputes over legitimate succession and theocratic issues stuck with me. Dwarf Wars suggests some of this and I spun more- building a network of clans and families with different agendas. I came up with a clan aligned with the Forge Priests but offering an alternate and secret faith. I developed a set of Hamlet/Shakespearean stories about turmoil within the ruling clan. I even created a Dwarven secret police, the Zilgildhum, who kept order. I drew maps and assembled a detailed structure for the Dwarven holdings and their relationships. And then I blew the Dwarves up. Actually it was a tidal wave, sweeping inland and flooding all of the underground holdings. In its wake another wave, this time of undead, finished the job. All of the Dwarven Holds fell and the survivors fled in all directions, though few in number. I managed to get a few sessions out of these Dwarves before I destroyed them, but not nearly what I wanted. A few years and a couple of campaigns later I’d moved the setting forward, adding in more steampunk and early modern elements. I’d done a couple of time jumps so I had room to play with history and revising the world. I had a human nomadic nation which had never been particularly interesting. It duplicated cultures elsewhere and made little sense, especially among more advanced neighbors. I reworked this place as “The Kingdom of Math.” The story went that when the Dwarves fled their homeland, one clan had reached this nomad nation. They struck a deal with the natives. The Dwarves would be given a home, and in exchange they would apply their skills and practices to “uplifting” the people. Since that introduction into the campaign world, those Dwarves of Math have remained in the background now for several years of play. They present themselves as benevolent and have made the Kingdom of Math one of the most advanced nations on the continent. The Dwarves keep to themselves, living in a single city complex which they travel out from to organize their projects. But there have been hints of something darker going on. They keep their own counsel and add unusual designs and elements to the grand constructs for the humans. Foreign Dwarves regard the Dwarves of Math with repulsion and often make a gesture of warding when speaking of them. This last year in the campaign, the players learned something of the secret of the Dwarves of Math, my version of the Chaos Dwarves. Dwarves for me represent a kind of focus on tasks. They value technique and system over craft and creativity. So even darker Dwarves possess dedication and long term planning. And they do plan for the long game. You see the Dwarves of Math have seen things- have had visions off the coming darkness. They know of the eldritch horrors returning, waiting both at the furthest reaches of the celestial spheres and in the black and rotten heart of this world. Math Dwarves know that when they come, there will be no fighting them. Their darkness will sweep across the land and everything good and holy will be drained by them- because these Horrors feed on that. And the Math Dwarves plan to feed those Elder Gods well. Their goal is to create a utopia on earth, a place of balance, happiness and peace…because that will make the Ancient One’s dinner that much sweeter when they return. And they will spare their servants, the Dwarves of Math, my take on the Chaos Dwarves, for having made the world a better and more delicious place for them. The Dwarves of Math will do anything for that utopia, anything for that better world. Anything. 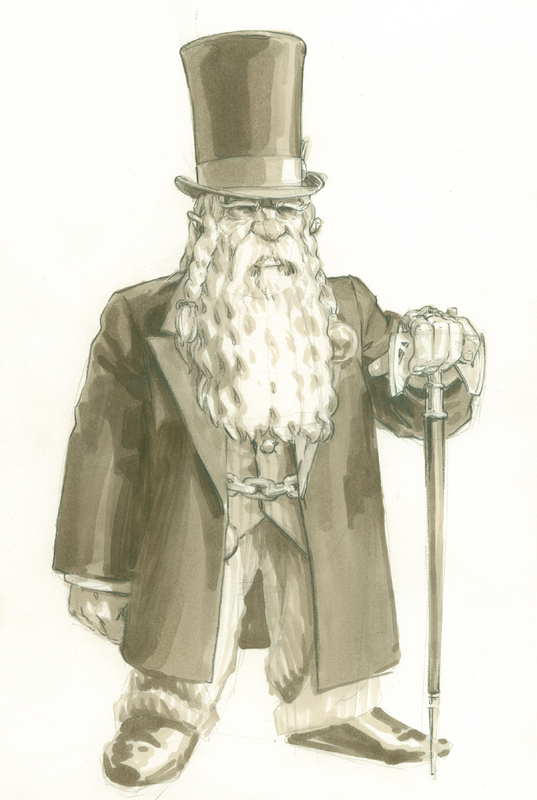 Illustration of Dwarf of Math Headmaster Gravast Direlond created by Gene Ha. I haven't done a round up of things for some time, so I thought I'd point to some things I've enjoyed. *I really enjoyed this post at Hill Cantons- The Proairetic Code and Player-Driven Mystery in the Sandbox. I've been thinking about sandbox and player-driven games and he does an excellent job of getting at some of the important elements. *In the great minds think alike department, the ever awesome Gnome Stew has a great post on techniques for building NPCs, Deep as a Puddle: Questionnaires and Tarot. That has great ideas and new stuff that fits with my post earlier this week, Creating Memorable NPCs. 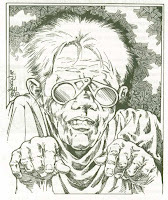 Interestingly, the author, Scott Martin and I had both written up a tarot-based NPC system back in 2009- mine and his (which is excellent)- and wrote on it again this week. *I switched over to watching streaming material on Hulu+ primarily for the Criterion Collection of films. At least that was my intent. Instead I've ended up focused on the wide world of Korean Dramas, most from Drama Fever. They're wonderful, cheesy and I don't know why I love them so: Vampire Prosecutor, Secret Garden, Pasta, The Devil and so on. *Rob Donohue at Some Space to Think really helped me consider how I wanted to handle skills with this article What Makes a Skill. *The Retired Adventurer had an interesting post on resolving conflicts (real world) at the gaming table, Resolving Conflict At The Table: Links. I hadn't actually considered that some of the tools for negotiation might be useful at the table. I hunted down the audiobook of Getting to Yes and worked through that. It was very cool and worth the time I spent on it. I'll probably track down more on that in the future. *I've also been watching GameCenter CX, the Japanese TV show where the Kacho plays retro games through to the end...mostly. I don't know what I find fascinating about this show. I never played with the NES or anything like that. We had an Odyssey game system growing up and I was never any good at it. It was the PS One that actually got me back into non-PC video games. But I watch these episodes and try to figure out what was going on in the designers' heads. *Finally, back in October, Drake's Flames had a post on having used Noble Knight to get rid of some extra games and how great the experience was. I just went through the process and I have to say he was absolutely right. The process was smooth, the communication was excellent, and I was really pleased. It is always worth mentioning when a consumer experience goes right. So here are the game possibilities I've put together. I think these would work for an online audio-based game. I’ve steered away from anything requiring too much role-play or too much combat. I’ve focused on systems with simple and easy to register game mechanics. I don’t want to track too much. You guys will have a lot of freedom and choice within the game, but I will probably be a little looser about saying “no” in order to keep things running smoothly. Ideally this would be a 6-8 session story, likely with an arc running through it. How that falls out will depend on the players and how well doing this over G+ (or whatever) works. Go ahead and pass this on to the group- including those who haven’t said one way or the other yet. If there’s a clear concensus about what people want to play we can go with that; otherwise at some point in the next few weeks I’ll putting together some kind of voting system. I did put some alternatives in case people wanted broader options. Premise: Each player chooses an existing superhero they will play. This can be from any universe (DC, Marvel, Milestone, Amalgam, etc). The premise will be that while there have been supers for a short while, they’re relatively new. You will play these heroes in their early days, with the founding of the group as a starting point. You don’t have to stick to the existing details of the character- you might want to changes details about the origin, switch genders or races, modify the source of their powers, etc. The characters you pick will establish some of the premises of the world (if you pick Zatana, then we know there’s magic; if you pick a thawed out Captain America we know that there were secret heroes during WW2). Of course you’re also going to be lower-powered beginning characters. So even if you choose Superman or Adam Warlock, you may have some of those powers but fairly constrained. I will be writing up the characters based on your input- so you’ll have a chance to establish what you want to focus on. We’ll establish a campaign city depending on the player choices. System: We will be using Mutants & Masterminds 2e. That’s a fairly simple d20 based supers system, requiring a single die roll for most elements. You can easily find the pdf and there’s also a nice pocket version out there. Please note that we’ll be using second edition and not the more recent third edition if you choose to buy anything. I’ll be using material from the Ultimate Power sourcebook, but reserve the right to veto certain powers and abilities. Alternative: As an alternative, the group may want to decide to pick heroes from one particular superhero universe for consistency. If that happens then I’ll try to bring in classic elements from that. Premise: A sci-fi game with a slight Firefly vibe based on the rpg setting of Ashen Stars. Players take the roles of “Lasers,” freelance law enforcers. They operate in the Bleed, a region of space once controlled by an empire known as the Combine. This wild space has largely been left to its own devices. A great war which ended mysteriously forced the Combine to refocus on the core worlds. Still, some order has to be maintained, even if by mercenaries. Navigating between disparate planetary cultures and races, the Lasers balance ethics and the need to make a buck. They have a dangerous existence- answering desperate calls for help but finding themselves more often unwelcome than wanted. You can see more about that on the product page here. 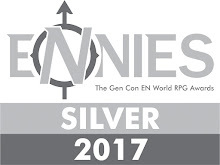 System: We won’t be using the Ashen Stars/Gumshoe rules. I’ll just be borrowing the setting. For mechanics I’ll be adapting that over to the FATE system. It has a fairly abstract story-oriented set of mechanics. The RPGs Diaspora, Spirit of the Century, Legends of Anglerre, and The Dresden Files all use this. You won’t have to buy anything; I’ll put together the homebrew adaptation. You can find a copy of the FATE SRD on the Evil Hat, Inc website. Ashen Stars has non-humans as a character option. At most two players in the group will be allowed to play non-humans. Not all of the races listed in Ashen Stars will be available. Alternative: The other approach would be a straight Firefly game, using FATE. Premise: This would be two-fisted pulp action in a slightly alternate universe 1930’s. Characters will be talented adventurers or perhaps even possess some mysterious powers. I picture this as being a globe or nation trotting game, based on high adventure as the group takes on world threats. Might lift a little from Crimson Skies for the setting, or even just a world with a slightly more steampunk flavor. Eldritch adversaries of horror in this kind of game can still be taken down with gumption and a tommy gun. System: This would also use FATE, probably Spirit of the Century primarily since that’s their pulp version of this. I would also probably borrow ideas from White Wolf’s Adventure! Rpg and some others. Alternative: Players might want to play out agents in a thriller setting in another era. 1950’s post supernatural apocalypse (Day After Ragnarok); 1960’s spywave (James Bond crossed with Night’s Black Agents); or modern (Delta Green). While some might have fantastic elements, I won’t be doing horror as I don’t think that works well with this set up. Premise: Players take the role of city guard in a fantasy city. The attempt to keep the peace while perhaps advancing their own interests as well. The actual genre background could be anything (steampunk, high fantasy, more medieval)- determined in this case by the city creation session. We would begin with a session in which we would collaboratively build the city. I would use a variant on the systems from Microscope and Dresden Files to structure this process. I’d manage that session and keep things directed so we’d end up with a playable setting. Your characters would work to maintain order, uncover conspiracies, limit the Thieves Guild, and most importantly- keep adventurers from burning the whole place down. I imagine the city would work best as a crossroads (like Lanhkmar) with several distinct cultures and/or races. Players could come from all walks of life, perhaps some having been sell-swords before taking an arrow to the knee. I see this as a hybrid procedural/networking/adventuring campaign. System: Once again using FATE, with the magic handled as abstract and fairly low powered. I’d borrow significantly from Legends of Anglerre for this. Alternative: If players want a less conventional fantasy building campaign we could do something with samurai or ninja fantasy; in either case the group would collaboratively build a clan that they all come from and hold positions of authority in. GameMaster University continues at RPG Geek, and I have a contribution to this week's topic. I come back to a tool I first talked about in 2009 as well. This week we take on one of the most critical GM skills, and one of the easiest to get a handle on. That’s because GMs can bring the same excitement and creativity involved in making up characters as players to making up NPCs. Being a GM just allows you the freedom to create concepts and play them out almost immediately. I love NPCs and I think one of my strengths is coming up with different and intriguing characters. Sometimes I overdo it and have too many NPCs, but I find it easier to edit or pare away than to introduce new characters late in a campaign. 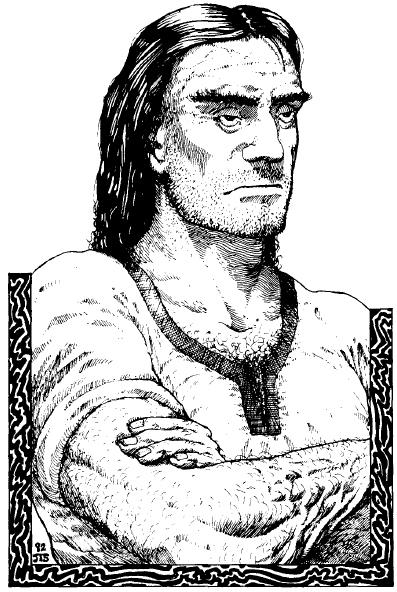 Before the GM advice, I'll offer a piece of player advice regarding memorable NPCs. If you meet an NPC you find interesting in a game, interact with them. Go back and talk with them again. Mention their name. Those are the best signals a GM has that something they’ve done has hooked you. A good GM will clue in and expand that NPC’s presence or role. Some time back I put together a series of posts on the topic of NPCs in games. Consider these supplemental and expanded readings. As you can see at some point I need to go back and revise those pieces. Today I want to reinforce a couple of key points- simple rules to keep in mind. I also want to present a new tool you can use in NPC creation, one that allows you to maximize prep time. A name is a solid and concrete detail. It shows players that this NPC matters. The sound and color of a name offers atmosphere: ethnicity (Al-Shaghiir, Zenokevitch), tone (Rump-Bonnett, Grishnar), title (Vadshana of the Rift, Duke Forlorn). The easiest way to do this is to hit the various name generator sites and put together a list of names, especially if you can find some theme to them. I put together this list for a standard fantasy campaign. On the other hand, for another campaign all of the players chose compound names for their characters. So I built most of the example names with compound terms. I’ve done this for modern games, for wushu games (using the Exalted name generators), and many other genres. One trick is to find names from certain cultural groups (Hungarian, Thai, etc) and then switch around letters or rearrange syllables. You get the sound of the language, but with a strange newness to it. As I use names, I cross them off or annotate them. There’s a bit of showmanship involved in telling players an NPC’s name. Never let them think that you’re making it up on the fly. That’s a signal that the NPC isn’t important. Refer to your notes, repeat details, describe the person while you’re making the name up. If you make something up, unobtrusively make a note of the name. I know some GMS theorists dismiss this as “illusionism” but it goes a long way to making an NPC concrete for the players. NPCs should have motivations. In any conversation between an NPC and a PC, the NPC should want something out of that interaction (money, acknowledgement, commitment to a quest, not to be killed, romance, figuring them out, getting home to their family). Take a moment to figure out what that position or desire. Use that to shape their responses and make the NPC seem more lifelike. This approach shouldn’t just block or confuse the players; they don’t have to necessarily figure out that motivation. But it affects tone and the shape of conversation. It also reminds everyone (including the GM) that these NPCs live beyond this exchange. Interesting characters have a gap between their external motivation and their internal desires. That creates a conflict. In games with disadvantages that internal desire might be represented mechanically. It shapes or limits their behaviors. FATE represents those through aspects; these can be compelled to prevent or direct actions. For NPCs who will be sticking around or appearing repeatedly, consider what the gap is between who they present themselves as (or wish to be seen as) and their deeper desires or motives. Over time those NPCs may be faced with a choice between those, creating a dilemma for them. This can reveal character. The reverse is true as well- NPCs can be used to uncover or illustrate the gap between a PC’s external image and internal values. Different players have different tastes. Ideas you think are awesome or interesting will fall flat at the table. The most important thing to remember as a GM: get over it. You’ll make more. You’ll have other brilliant ideas, interesting plots, cool new monsters, and intriguing NPCs. If something doesn’t work, drop it and move on. With NPCs don’t focus on creating one or two deeply. Create a batch with some details and color, and run them through the grinder. I don’t stat out NPCs. I can do that later or on the fly if I need to. What more important is figuring out some hooks. When NPCs hit the table many will be acknowledged and then forgotten. Don’t worry about these. Note the names- you might bring them back with changes in their situation or kill them off later. Pay attention to player reactions: do they have one? do they interact with the character? do they ask questions of them? do they clearly hate them? If your players have a significant reaction then the NPCs made an impression. Consider bringing them back on stage in another scene. A more important signal should be if the players remember/mention the NPC’s name or go back to talk to them later. Even if it is purely a question of an NPC having a useful skill or resource for the players, you’ve established someone with a significant role. Once you’ve determined that an NPC works or has a hook the group likes, you can work them in more and deepen them. Focus on what seems to be a hit at the table. This is more a caution. Just as players should love their characters, the GM should love their NPCs. However they should be careful about that. There’s a necessary balance. The secret is NPCs exist in relation to the PCs, but players who behave like that’s the case come off like sociopaths. At the same time NPCs shouldn’t take the spotlight away from the players. If they’re able to do something expertly, they can put those skills in service for or against the PC group. If they’re an NPC overcomes an obstacle in the group’s way, it should be at their behest. Unless you intend them to be enemies or rivals, your NPCs shouldn’t show up the players. Even rivals will need to fall and be overcome. Beware Mary Sue characters. I have a trick for creating NPCs that GMs may find useful. Before campaigns begin, I like to create a batch of NPCs all at once. This activity takes me one or two hours, depending on how creative I’m feeling and how many I want to create. I actually did this yesterday and it took me about an hour to do 22 NPCs. I’ll talk about the mechanics of the system in a moment, but let me try to sell you on the why of it. NPCs can serve as the best engines and devices for plots and incidents. When I start figuring out a campaign, I usually have a general sense of the kinds of stories I want to tell. I might have an idea about the villains or challenges I think the group would enjoy facing. Perhaps I’ve already developed an idea for how we’re going to open. But I’d like to know more about the world, like to come up with more stories and hooks for the players. To do that I brainstorm NPCs. Each usually suggests a new stories or reveals something about the world. That process serves as half story-idea generation and half world-building. And the way I do it is cheap and fast. A number of years ago I developed a “tarot” deck unique to my fantasy world. I came up with nine suits of nine cards, plus a wild card. Each had a symbolic name, meanings for their upright and reversed positions, and a relation to something from the game world. It was one of those goofy GM exercises where you build something elaborate which isn’t as great or practical for play at the table. Then I hit on a use for it while thinking about the NPCs for an upcoming urban session. I decided to draw three cards and come up with a story based on that. I did that repeatedly until I had a great set of unique characters. Eventually my wife created an Excel spreadsheet with the cards and meanings, each with a number. I could then easily generate a list of random numbers, use a lookup function, and generate a set of three details. I use my fantasy world’s tarot, but anyone could easily do this by building a sheet with standard tarot meanings or any kind of symbolic set. So here’s the first three. I like the joke of the name I put there for the first one, it gives me a sense of what he’s going to be like at the table. He’s a cop, so he’ll be easy to throw into the mix in the game. That second one, well now I’ve come up with a plot for later. Ascendant Bounty Hunters (borrowing from Unknown Armies). Maybe he decides he can gain power by taking down a celebrity bounty hunter, like Dog. Maybe the players get wind of that and have to protect an obnoxious celebrity. The third character’s interesting, more open. He doesn’t immediately spring to mind with stories, but I’m sure I’ll be able to figure something out down the line. So the PCs will obviously be making a lot of noise in the city. The first character could be used as an ally or agent of an enemy. She could appear after they’ve caused collateral damage. The second one’s great- I can imagine a mystical hoarders junkyard estate. That could be a great scene with someone who perhaps seems crazy but knows too much. The last one’s a nice contrast to Aaron Brokovitch above- another cop who they might cross paths with but who could be bad news. Here's the full sheet of the 22 NPCs if you want to see all of the finished product, written up in a little over an hour. Here’s the thing, it doesn’t take me long to create these NPCs and already I’ve got new story ideas. I now have a great fallback resource for the campaign. I can pull them out when I need a new idea or I can throw them into the mix right away. I don’t have to tightly plot the game, instead I have elements I can drop into the sandbox. If I don’t use one, no big deal, the effort doesn’t feel wasted. Here's a link to a blank worksheet I generated if you'd like to try this out for yourself. Sourcebook for any fantasy rpg detailing the elements of an exotic and isolated city quarter populated by non-humans. The nature, variety, and density of non-human races strongly defines a fantasy setting. 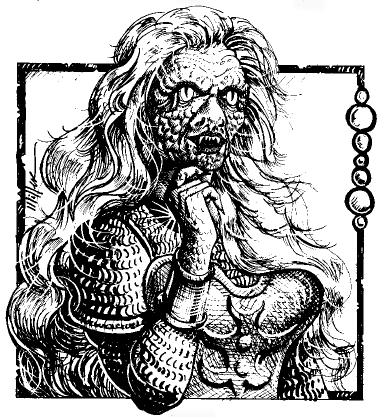 There’s the grab-bag approach of Forgotten Realms or Eberron with everything under the sun; the more limited but deeper approach of Earthdawn or Sundered Skies; and the exclusively human approach of Pendragon or Legends of Anglerre (for one of the settings). 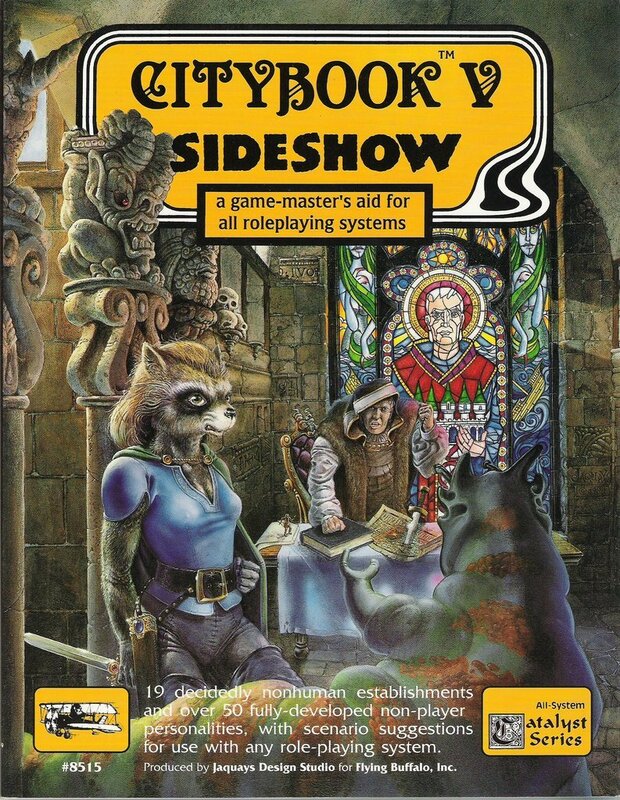 Citybook V: Sideshow can present something of a problem for some campaigns. More than most of the other sourcebooks, it relies on some premises about the campaign world. It is possible to shift some of the races and details, but how much work does that require of the GM and how much is lost in the translation? Sideshow has a strong concept. Within the City, a section has become a kind of ghetto. I don’t think the book ever uses that loaded term, but it applies in the most literal definition. The most exotic and strange have been forced or dedicated to gather in a neighborhood more tolerant or at least further away from oppression and prejudices of the majority. Given that we know historically like communities and cultures clustered together within cities, especially foreign communities, Sideshow makes sense. And the term, Sideshow, loaded with unpleasant connotations has the right weight to it. This citybook is the most cohesive and thematic of the entire series. On the negative side it means that entries and ideas can be highly entangled and harder to pull out for individual use. On the positive side it creates a compelling atmosphere and deepens the individual entries. ON CITYBOOKS What are the Citybooks? Each volume presents generic businesses, locations, and organizations for a fantasy city. The books aim to keep assumptions about the nature and form of fantasy pretty generic. Even when it deals with the cosmology of the magic, it maintains an open and adaptable approach. While the books are written without specific system mechanics, they offer guidelines for important details. Fighting, magic and so on are ranked to give the GM a clear sense of the relative power. Each entry is usually at least three pages, usually more. Most include clear maps and layouts with clear icons. An entry usually includes a basic description, layouts, NPC details and most usefully a set of scenario suggestions. NPC write ups focus on personalities and plot elements. Each book usually offers a set of links and threads to make it easy for the GM to connect different establishments together and create larger stories. These can easily be used or ignored. Citybook V generally follows the same layout and design the series has established. The 96-page perfect bound book sticks with a clean two-column layout. It actually looks better here than in the earliest volumes. Once again the book uses a stable of artists rather than a single illustrator. Most of these are really excellent- especially Sandy Schreiber’s work. There are a few weaker images, including Ruth Thompson’s work. Paul Jacquays paints an interesting, if a little busy, cover for the book. He also returns as editor and the book’s once again listed as produced by the Jacquays Design Studio for Flying Buffalo. Eighteen authors contribute to create the 19 establishments of the book, including John Nephewand Lawrence Watt-Evans. The editors done solid work connecting the establishments and most of the details don’t seem forced. Anthology books can have wildly divergent tones, but nothing feels out of place here. The book’s split into three major sections, each with a forward page. It switches up the usual order a little bit, but it makes sense. The concepts set up in "Organizations & Individuals" impact the rest of the material. Organizations & Individuals: The Pack; The Old Man of the City; The Sliming Path; Terrkot’s People; The Gaggle. A one-page general introduction sets up the basic concepts of the non-human sideshow as well as the logic behind some of the book’s design decisions. The next four pages lay out the generic guidelines and map keys for the book. Most interestingly we get a page discussing the themes of the Citybook. Some of these are alternate takes on what appears later (which seems odd) while others help orient the reader to the threads running through the book. When I look at the entries I notice they break into two types. On the one hand, you have concepts that really work with the idea of the non-human nature of the characters. Not just that they are non-human, but the specifics of their culture, racial identity, strengths and limitations. On the other hand, you have entries where you could easily change out the characters or even make them human and the concept would remain the same. For example, The Bottomless Keg, could easily have a different mix of races among the NPCs there. There’s only one detail- that the husband and wife proprietors come from traditionally opposed races- that relies on that. Otherwise, it is actually a fairly mundane establishment…well, except for one of the characters being a secretly disguised powerful wizard. AGAIN. At this point I have to wonder if this is an inside joke for the Citybook series, as everyone so far has had a hidden legendarily powerful evil or formerly evil wizard. I think generally the entries which embrace the specifics of the races their dealing with are stronger. However there’s something good in just about everything in this book. Even the weakest entry got me thinking of a couple of adventures I could build from it. I’d say the three that work least for me would be The Bottomless Keg I mentioned above, for feeling too generic- Brumar’s Workshop shares this problem. The Panther Club feels focused on the description of a new fantasy race, rather than providing an interesting establishment. Instead the Club feels like a generic way to show it off. Finally The Silver Pelt ends up a little too obvious. The idea of a werewolf butcher is a cool one, especially for exotic meats. However the presentation is unsubtle. The NPCs have the last name “Silver” and they look human although hey operate in Sideshow, etc. I should also mention that the book goes heavier on the connections than the earlier volumes, but GMs should still be able to use the entries individually. The Sliming Path by John Nephew is one of the best. It presents a non-human revolutionary group. The membership of that group and their methodology present an interesting challenge for players. You could shift that organization or even parts of it just slightly to create serious dilemmas for the PCs. I like that the key members all have very different sense of what a non-human revolution means. They can work together now, but in when you look closely they have ultimately incompatible philosophies. That will lead to interesting choices down the road. I also really like The Pack, a criminal guild suited to the strange environs of Sideshow. They offer a unique adversary and one requiring serious problem solving on the part of the players. The NPCs given are interesting, and the scenario hooks in this entry offer unique adventures. There are so many other really strong pieces in this one- many that I’ve used with great success: Spittin’ Image, Knight’s Cranial Hospitaler, Hilkin’s Specialities & Esoterica…pretty much every one I haven’t mentioned has awesome ideas in it. But the best concept in this book, for me, is the Old Man of the City. That’s a great adversary, with complex motivations and easily tied into many plots. I actually used him more as an abstract force in my campaign (personified in another NPC, Nadoriz from Nadorix’s Necropolis). Essentially there’s an immortal figure cursed to live in the city until it finally is destroyed. The Old Man works to bring terror and destruction here, but often his plans have the opposite effect. Still he can cause some damage, making him a serious threat. With some tweaks to suit my campaigns, he became a fixture in many plots I ran. 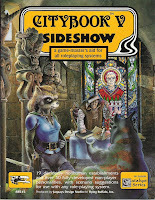 Citybook V: Sideshow is one of the best of the series, and one of my favorite generic fantasy supplements. I love the ideas here. Many of them can be tweaked and repurposed for different settings, or with slightly changed races. Some of them can’t be, but mostly because they have such of strong idea to them. I really enjoy this book. If you’re running a fantasy campaign which includes a significant non-human population, you'll find this useful. In my post from Monday- Secrets,Rumors, and Hearsay: Player-Facing RPG Materials- I tried to pull together various rpg products which included player-facing materials. I have a couple more thoughts on the topic. More than handouts, these products give players rich stuff to play with. They offer something physical and tangible. They present a living puzzle which different players can address in different ways. Some add to the verisimilitude of a setting, presenting an artifact from the game world itself. They can give expertise to the players. Even more importantly, they give players control, allowing them to make choices based on that material. So I’m fond of this type of material, especially when well crafted. The published stuff I mentioned is all pretty good- but perhaps difficult to port over to another campaign. Conversion and change up can be difficult- although with more electronic materials out this, this process has been made easier. One suggestion mentioned by Eric Dodd (Red Wine Pie from RPG Geek) is the possibility of materials from one game being used wholesale as artifacts for another. In this case, notes or handouts from a 1920’s campaign being found by a group of modern CoC investigators. I’ve done that once, where the play notes of a previous PC group served as the backdrop and backstory for a group of later PCs. Of course one the dangers of player facing materials is that it can overwhelm your players. Especially if provided in a dense chunk, a larger booklet or folio, players may be intimidated. I’ve said before that a GM shouldn’t count on players having read material you’ve given them. That’s a practical fact- people’s schedules, levels of interest, and even learning styles can impact this. So you’re left with a choice of penalizing players for that or trying to find an approach that takes that into consideration. In some ways, larger player-facing materials may create a split within a group- between those who wish to engage with the material away from the table and those who don’t. If some players become experts in the material, they can drive the game, pulling the other PCs along. That’s not to say that either position is bad, but that GMs have to consider that when handing out player-facing material. That can start simply with the physical nature of the material. If you don’t have enough copies of something, then some players will be stuck waiting or will have to listen as another player narrates, which defeats the purpose. One alternative could be to have the object or material broken up, with a part for each player to digest. Then the players can do some negotiating and synthesis at the table. I played in a game where the player text was a tape-recording. It was a great starter device, with a dynamite feel, but the GM didn’t have a transcription ready as well. That meant we had a break of weeks before we actually had something like that in hand, losing a good deal of the power of the device. It ended up more a novelty than a significant tool for the GM. The other basic fact I often forget is reading takes time. If you hand out written materials at the table, that brings the scene to a halt. Saying “don’t read this now” undercuts some of the excitement of the discovery. I think that the best places to drop in this stuff are at the beginning or end of a session. The beginning can allow the players to develop a plan and follow up on it; the ending means players can read it outside the pressure of the game’s clocks. Perhaps they’ll stick around and go over it, perhaps they’ll take it home. I can see two really good approaches to handling player facing material- both, of course, demonstrated by a Robin Laws product. Piecemeal: The end goal is a larger body of player facing material, but as a GM you dole that out in pieces over time. Each piece should be significant, standing on its own. It should have enough material that the players can wrestle with it and figure things out. As they get more pieces, they can start to build connections. The ArmitageFiles takes this approach. Each document is a couple of pages long. Individually they offer ideas for a mystery and hint at the meta-plot. By breaking the full player text apart, the group has a chance to digest the material. Consider crafting a longer document and then cutting it apart. Part of the puzzle with be figuring out the chronology. Other puzzles and riddles can be worked in depending on the order. A campaign might look very different based of which piece comes first. You might even have a literal puzzle or image which the pieces show. Over time the players will accumulate a substantial reference work. Grab-Bag: On the other hand you could also hand the players a volume of material and not put any pressure on them. The material serves as a cool, in-game reference work- a briefing, an outline, a guidebook provided by sources. The players can choose to go through it or not, at their leisure. If they do, they can discover hooks, people and places than they could follow up on. If they don’t they can later turn to the material for background when they come into contact with a person, group or idea. The Kaiin Player’s Guide takes this approach. The players’ have everything they need to know about the city, but there’s no “test.” They can flip through the guide until they spot something cool and then zoom in on that. It’s like catalog shopping. 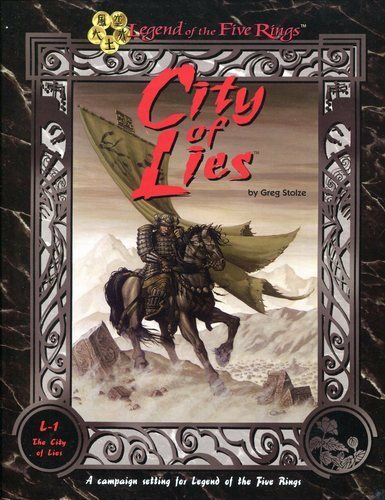 In some ways the player’s book from City of Lies does this as well. By breaking things up into small entries- with clear headings, players can jump around and look for whatever excites them. The design of the product should be comfortable, with easy and bite-size information. One benefit of this process is that it allows you as the GM to do some world building, but still leave the choices open for the players. You can expand on the details they follow up on. I’ve tried this approach a couple of times and had pretty good success with it. When I ran my Exalted campaign, I put up a couple of short entries every other day as a countdown to the start of the campaign, covering places and people of the city the game would be set in. I ended up with a pretty substantial gazetteer. When we got to the table, the players had the flavor of the city and a solid product in the consolidated guide put together for them by their elders. I also did this for the superhero campaign I ran set in New Orleans. In the lead up to the campaign, I sent out articles that went through key NPCs in a number of different areas. I hoped this would offer players people they could contact or follow up on. The group ended up more task-focused and less interested in that sandbox approach. GMs now have access to some amazing electronic tools. DTP software can easily be found and even basic word-processing programs can be used to assemble something decent looking. That’s a great advantage, before we even get into what kinds of image and art materials GMs have access to. However, there’s a thorn in these modern tools GMs need to be wary of. Doing something electronically, while making things easier doesn’t necessarily mean they’ll get used. And GMs should always be evaluating prep choices in terms of the time invested: table play payoff. For example, wikis are a great resource. We have a number of wikis for the various different campaigns. Some of them have been nicely cross index. My wife enjoys working with those and the process of building connections between entries has helped her uncover some of the mysteries of the campaign and see patterns. All of that said, building this kind of material takes time and energy on the part of a GM. I’ve gotten better in recent years about building playable material. I don’t worry so much about the historical details or full encyclopedia entries for places and things. I focus on what players will contact and thinking about how that will appear to them. Obscure details of a particular battle don’t matter unless it impacts the story. Otherwise I don’t have to write it up, I just have to be able to improvise convincingly. With my bona fides as a lazy GM established, I’ll point to the easiest way to build solid, interesting and immersive player-facing materials. Any kind of collaborative building exercise creates rich details that the players own just as much as the GM. History creation in Microscope, cluster development in Diaspora, clan creation in Blood & Honor, city building in Dresden Files- all of these create player facing materials. And each time I’ve done this, the players have created things I never would have thought of. They give me the tools to raise the armies against themselves. They get a thrill of recognition when the group they created knocks down their door to kill them. The trick is that you really aren’t giving over that much control as the GM- you still get to fill in the cracks, you still get to spin things in new directions. For example, one of the players wanted to have unicorns in the last fantasy campaign. So they threw them into the timeline with a slight mention. We knew little about them…so I made them the secret masters, the Illuminati manipulating the horrors from behind the scenes. The more I GM, the more I want to share responsibility with my players. I want them as engaged in the process of world and story creation as I am. Having ownership and authority over those worlds aids in immersion...or at least spurs interest. In that vein, some game lines produced unique player-facing products, offering players information to explore and control. In this case I'm not talking about mechanical books with new powers, options or abilities. Or even books that present generic perspective or stories about class or the like (i.e. splat books). Instead these materials offer specific, detailed and tangible narrative materials for a campaign setting- directly placed in the players' hands. These are more than simple handouts. Many games have awesome bits and materials. Campaign classics like Death on the Reik and Horror on the Orient Express supply lovely pieces. But these usually offer an illustration, rather than providing a text for the players to return to repeatedly and explore. So I've left off many games with handouts if those handouts don't significantly shape the game experience. Some of these products are artifacts from the game world. They remind me of metafictional texts like House of Leaves or Dictionary of the Khazars. Both of those offer reading as an exploration game, not unlike a story-focused rpg. I crafted something like this for my Changeling campaign, my Wayward notebook prop. That gave the players something to grab on to and use as an anchor. I suspect this is an incomplete list, suggestions are welcome. I also wonder if I've missed some video game rpgs with outside supplements or texts which qualify? For more on this see my post In Their Hands: Building Player Materials. One of the best campaign sets I've ever bought. 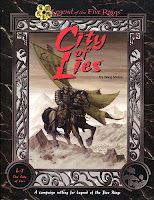 City of Lies provides GMs and players with all of the tools they need to run an amazing and distinct campaign. Part of what makes this set so impressive is that there's nothing generic about the city they chose- a major holding of the suspect Scorpion clan, an opium crossroads, strong presence of the marginalized Unicorn clan, and a host of other details. Some city books and materials could be easily lifted and purposed elsewhere. Ryoko Owari is its own beast, complete and whole, and very hard to imagine being used for another game or campaign. The designers help players enter into that setting through two devices. The first is the 88 page players' guidebook, written to the characters' viewpoint. The default assumption of the campaign set is that the PCs are new arrivals, most likely magistrates having to keep the peace. The details of the player's books come from the notebooks of several major characters, former recent inhabitants, including two predecessor magistrates with different temperaments. The idea is that their superiors have assembled these materials to aid the party in orienting themselves. Beyond background and geography, this guidebook provides an overview of all of the major NPCs, with different takes on their motives and purposes. It introduces and suggests several major mysteries which the PCs can choose to investigate. All and all it remains one of the best approaches I've seen to creating a tool the players can use throughout the campaign. The other major device- SPOILERS- is a similar, smaller booklet. It contains the more secret writings of the mysteriously murdered magistrate they're replacing. It offers deeper insight to the open puzzles, the stories from the player's book, and demonstrates just how unreliable a narrator that magistrate may have been. This booklet is a great turning point reward for players in the campaign. I should also note the AEG used a similar device with the S-1: The Tomb of Iuchiban set, which had a substantial journal the party could obtain and delve for insight on the plot. Robin Laws continues to build game concepts that overturn or revise old approaches. That makes some of his products polarizing. But I come away with a new perspective on gaming every time I read one. Kaiin is a city guide, but only for the players. There's no GM's guide to the city at all. Instead players have access all of the ideas and materials for the different and bizarre districts and stories of this setting. Each chapter provides an overview of the neighborhood, the people in it, and the various rumors and activities going on there. It makes players an expert on this chaotic city, rather than outsiders or strangers. The idea is that players can look through and pick the stories they want to explore and then head off to hunt those down. They can offer spin to the GM who then riffs from those leads. The players make their own pitfalls and misery, in keeping with the tone of the whole Dying Earth setting. It is a striking approach, and one that could be used elsewhere. However to do that you'd really have to invest in a city and make it the focal-point of a campaign. GMs would also have to be willing to share that power with their players. In some ways, I imagine the city creation tools from The Dresden Files Roleplaying Game serve this same function. We've used Microscope to do something similar with a wider scope. While many great games have handouts, most of those illustrate or suggest a single clue. Some may even have a single puzzle hidden within them. This city supplement, for the Kingdoms of Kalamar setting, has an even richer player-driven framework. Called RumorQuest(tm) it puts choices in the players' hands and immerses them in the setting. It does this by providing 110 rumors, each on individual cards. These are arranged in thematic sets for the GM. Cards in a set tend to deal with a particular plot or group, but also include mundane details, red herrings, and local color. There's an excellent guide section for the GM on how to use these and how to distribute them. I like it for a number of reasons. It offers players a feel for the city while allowing them to choose the path of any investigation. The cards have a tangible feel to them, a physical object they can read or pass around. It also gets around the "parrot problem" in that a GM can hand the rumor to the player and they can spin it for the group, rather than just repeating the GM's words. The basic RumorQuest structure could easily be expanded on- perhaps potential plots could be thrown in. If the players follow up on those, they then make a decision about what's relevant and important in the game. It could be an excellent tool for a sandbox campaign. I did notice that Kenzer didn't produce any other products using the same approach as far as I can tell. Another Robin Laws product that changes up the basic approach of the game. Like Geanavue mentioned above, the player-facing mechanics are really just handouts. But the depth and use of these handouts sets it apart from other games. The Armitage papers are literally and figuratively the key to the game. Each document is an artifact: the textual content, the illustrations, and even the appearance suggest clues about the plot. Players can return to the documents for hints and suggestions during adventures and over time they can uncover patterns of connections between them. This puts investigation and control in their hands. These handouts become the spine of the campaign, and over time the PCs will assemble their own book, complete with interpretations and marginalia. This series isn't completely player-facing, but many of the supplements do offer significant and substantial player-exclusive tools. 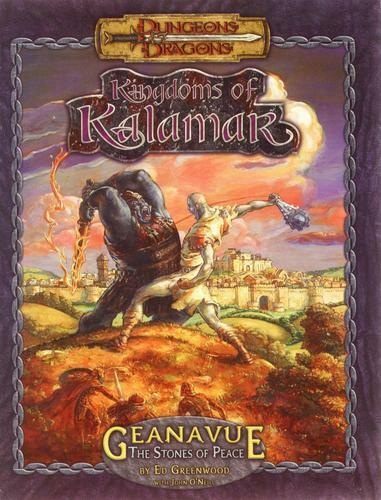 Beginning with GAZ4: The Kingdom of Ierendi, the Gazetteers added separate player and GM booklets. Many of these had mechanical material (new classes, spells, skills and so on). But many also offered cultural perspectives and ideas, helping players to make sense of the region. They presented a version of the history and a guide to the culture and rules of this place. That allowed players to become experts at the table- if they chose a character from that place they could offer insight and a reasonable interpretation. It also meant the player didn't have to rely on the GM, but instead had that under their control. The best of the Gazetteers gave the players perspective, but then present revelations in the DM's book which subverted those expectations. Obviously this kind of thing can have be handled as the chapter or section in a larger book, but I like the idea of being able to individually provide players with this background. In my own campaigns, that's pushed players to really think about their people. They've come up with richer and more interesting ideas to support those presented in the books. They participate in the world creation process because they have a sense of ownership. This is a series I regret not buying more of. I picked up the basic sets for Birthright, mostly because I was curious about the warfare options at the time. You play regents, powerful lords and ladies of various types (priests, warriors, wizards) each commanding a domain. Each supplement in this series offers the details of one such domain for the player. So, pick which country you want to run and then pick up the booklet for it. The supplements are pretty short, 32 pages plus cover and maps. Each has an overview; run down of the history & geography; a look at the law and culture; the key NPCs (with stats); a breakdown of the Holdings (key features); and brief snippets offer plots- secrets, rumors and problems in the domain. This gives the player everything they need to play out their campaign. They can choose to look into the problems there, they can plan their adventures, they can decide who they want to talk to. It is a kind of amazingly forward-thinking approach for a game from the mid-1990's. I can imagine building something like this on a smaller scale for other campaigns- perhaps something like Reign which has players in charge of companies. How about an abstract fantasy campaign where each player controls something like a guild or organization? This is one of a number of smaller booklets White Wolf produced for their lines, "artifacts" which mimicked legendary books and offered insight into the setting (for example The Book of Nod, The Erciyes Fragments, The Silver Record). Most of them seemed to be aimed at flavor over utility, but some had some merit. The could be used as interesting in game resources to give players a tangible background or a mystery to untangled. Mage's book The Fragile Path: Testaments of the First Cabal could be used in this way. 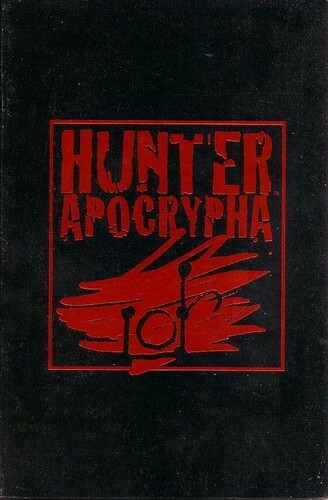 Hunter Apocrypha stands out as the best and most useful of these. It's an example of the kinds of documents and writings a Hunter PC might find. It represents the crazed way in which their traditions might be passed along. And the book itself could spur a Hunter campaign, since it has many leads, mysteries and shadowy characters a GM might bring to bear. Unreliable narrator doesn't even begin to get at what's going on here. Piercing together those details with events in a campaign could be a great and satisfying thing. I played in a campaign where the GM did this tangentially, but disappointingly dropped it, making it feel more artificial than organic to the campaign. This is another great example of an in-game artifact which can be used to shape long-term campaigns. A companion volume to Bookhounds of London, it presents a guidebook to Occult London. Commissioned mysteriously, the author died before completing the manuscript. 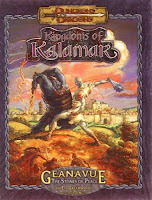 The book serves as flavor text, a guide, and also hints at many mysteries including the death of the author. A GM could easily have the discovery of this book be the starting point of a Bookhounds campaign, with references driving the players back to the pages for clues. It is wonderful products like these that really go beyond classic handouts. Especially now, with easy access to DTP technologies and the ability to craft reasonable facsimiles of ancient pieces, GMs are living in a golden age. Rumor has it that Pelgrane plans to produce a similar book for their upcoming Night's Black Agents game. This would be a kind of modern and shattershot Van Helsing guide to dealing with certain monsters. In some ways, solitaire adventures (like Flying Buffalo's series) and Choose Your Own Adventure books represent the ultimate player facing rpg material. They're still tabletop in form, but they lack a certain amount of interaction. 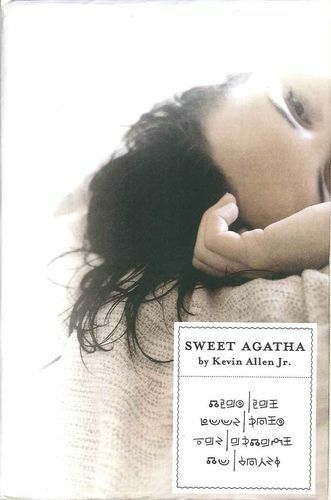 I haven't played it, but Sweet Agatha promises something of the CYOA but in a kind of metafictional way, with the multiple players working through and piecing together the actual story of the events. The book itself is an artifact and a puzzle, and multiple solutions or answers might be created. I like the idea of putting something that offers multiple interpretations in the hands of the players and letting them talk/argue out some kind of solution.